In English, as in several other languages, there are words that sound the same but mean different things. These similar-sounding but different-meaning words are homonyms. The word “homonym” comes from the Greek for “same name”. Some homonyms are especially confusing and hard to tell apart - in other words, which spelling corresponds with which meaning. Homonyms are really tricky, even for native English speakers. 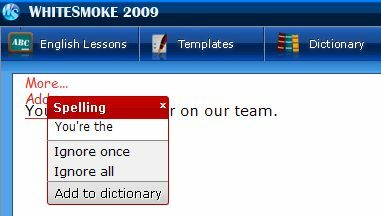 A correctly spelled-word can be used in an incorrect-way, creating a special kind of spelling mistake. When the wrong spelling of a homonym is used, this is a contextual spelling mistake. Contextual spelling errors usually significantly change the meaning of a sentence, and typically sound pretty ridiculous. So, it is very important to recognize common contextual spelling mistakes, and to learn the different spellings/meanings of each homonym. Their house is on top of a hill. They’re always late to class. Her bag is over there. Look at that car; its windows are broken. It’s been three days since I saw you. Everyone came to the party except Luis. I feel like you’re upset. This plane is flying to Hawaii. It’s a good deed to donate money to the poor. There’s too much pollution in the air these days. I sleep on two pillows instead of one. Melissa, do you know Harry? Since last month there has been no rain. 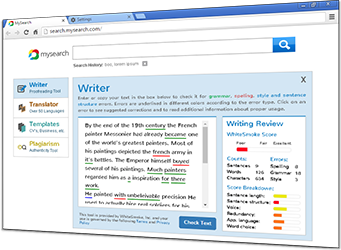 One of WhiteSmoke’s unique features is the ability of its grammar checker to spot contextual spelling mistakes. 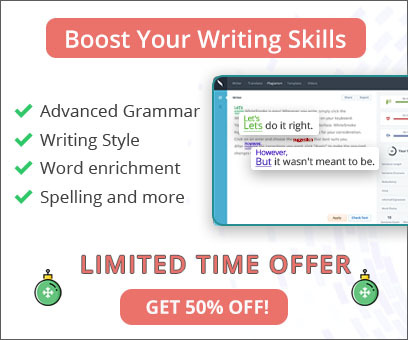 Since technically these words are spelled correctly, it is necessary for a grammar checker to read and understand the entire sentence, in order to spot mistakes like these. Luckily, WhiteSmoke can do this! Example # 1: I don’t no how to swim. Example # 2: Their is so much snow on the ground! Example # 3: Your the best player on our team.